Assisted living in Dacula, Georgia, supports seniors to remain as independent as they can for as long as they can. The right community boasts a wide range of activities, excellent food, plenty of chances to spend time with friends and family, and relief from loneliness and isolation. Perhaps that’s why seniors live longer, happier lives in senior communities. If you’re weighing your options for assisted living in Dacula, here’s what you need to know. Dacula is located about an hour outside of Atlanta, the south’s bustling metropolis. For seniors who want to take a day trip into the city, there’s plenty to do. You might visit the Center for Civil and Human Rights, take in a show at the Fox Theatre, or see an exhibit at the High Museum of Art. For those who prefer to stay closer to home, Dacula offers the best of all worlds. It’s a cozy suburb with plenty of green space, less traffic than Atlanta, and ready access to all of the conveniences of city life. Enjoying Dacula's many green spaces. Visit Little Mulberry Park or Rabbit Hill Park for a picnic or walk. Excellent shopping on every corner. Dacula is home to numerous strip malls, and is just up the road from the Mall of Georgia. Improving your golf game. Check out the Hamilton Mill Golf Club. Assisted living in Dacula helps seniors bridge the gap between their abilities and how they want to live. Offering assistance with basic tasks such as bathing, grooming, and medication management, assisted living is an ideal choice for seniors with chronic or degenerative conditions. Assisted living communities meet seniors where they are, only offering the help seniors need. This makes them a great choice for independent-minded people whose bodies are making independence more difficult. Assisted living communities do more than just keep seniors safe. They also help seniors remain active, engaged members of their community. They offer transportation to nearby events. Some even provide seniors with the chance to volunteer in their communities. 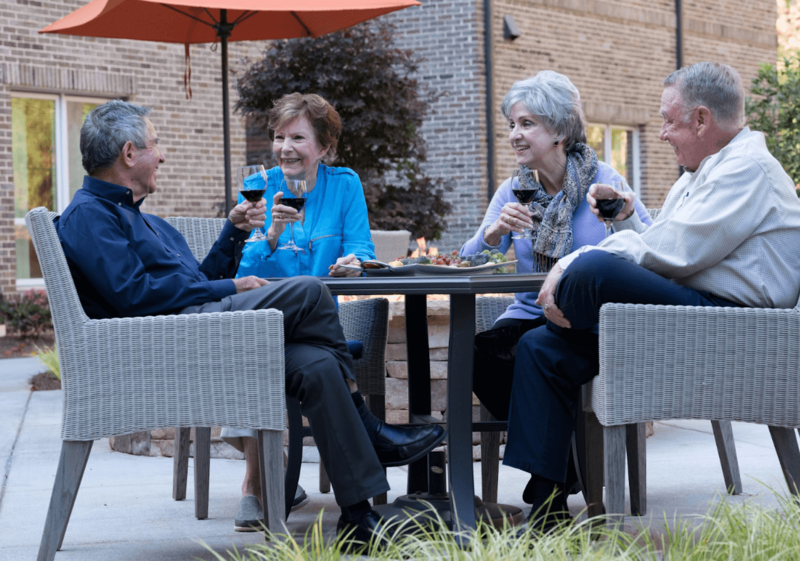 Arbor Terrace Hamilton Mill gives seniors a wide range of options for a lifetime of learning, entertainment, and socialization. Seniors can take yoga or fitness classes, master new skills, attend community socials, or even suggest their own activity or event. Physical ailments can leave seniors feeling isolated and overwhelmed—especially if they no longer drive. Assisted living restores a sense of independence, helps seniors get excited about the future, and relieves the stress family caregivers face. Many families find that their relationships improve when they no longer have to worry about providing daily care to an ailing senior. Assisted living allows you to focus on your relationship, not the endless demands of caregiving. A quality assisted living community offers assistance when you need it and privacy when you don’t. You’ll retire in safety and comfort, with the chance to enjoy a wide range of activities both in the community and beyond. Arbor would love to help you begin your search. Arbor Terrace Hamilton Mill helps seniors lead supported and joyful retirements. Arbor has proudly served seniors for 30 years. Drop in for a visit to learn why our residents love us.